You can play Elfland on this website so you don't need to download and install the game on your computer. We recommend to use Google Chrome when playing DOS games online. 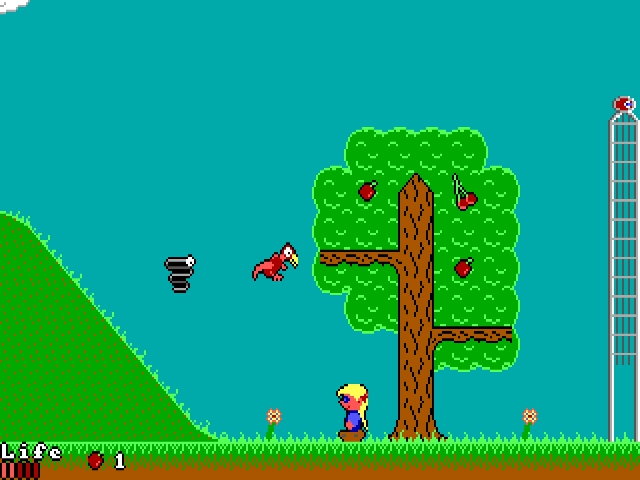 Elfland was inspired by Captain Comic and ID's Commander Keen series. 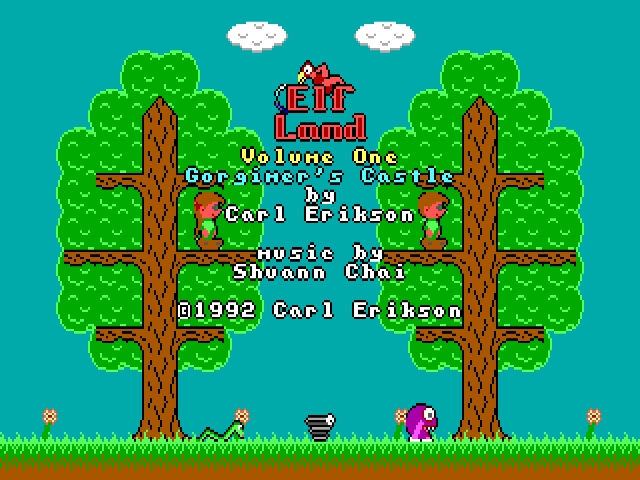 Elfland was my second PC shareware game (1992) that I published. It is considerably more advanced than my previous offering, Race!. You take on the role of Elfie or Elfita and try to save the elf village from the threatening trolls. Shown above is Elfita taking on a spring monster and a bird. She'll need to reload on flash berries soon! I have received quite a few registrations for Elfland, and continue to receive them several years later! 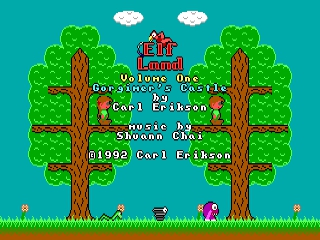 Elfland has been incorporated into numerous shareware CD-ROM collections and it was also published in Wal-Marts across the country under the GT Interactive name. Cool!